If you need to convert PCX to TIFF, you don’t need to worry any more. There is a versatile, user friendly and affordable PCX TIFF converter out there, which you can use conveniently any time. Apart from these two formats, it supports quite a bunch of image extensions. This utility features an array of advanced options. Images can be cropped, resized, rotated, and watermarked in your most preferred fashion. Most important, you can preview your images by aid of the built-in viewer. 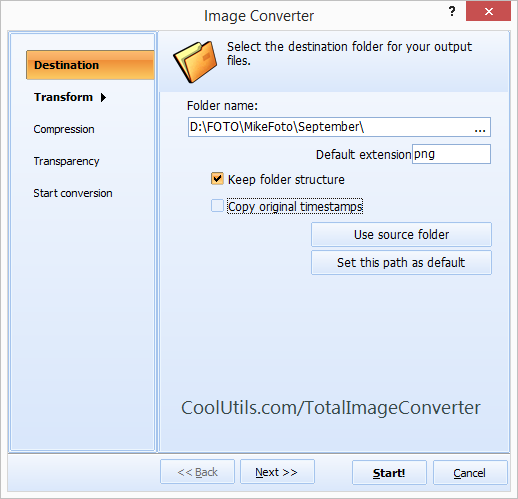 This converter reminds you of what you can do about your images as long as you go on with it. For example, if you fail to use Rotate, Resize, Crop and Watermark buttons located right above the image list, they are featured in the wizard, which you will have to use anyway. You will be offered to edit your images once again. This program has command line options, so you can run it from within various programs. 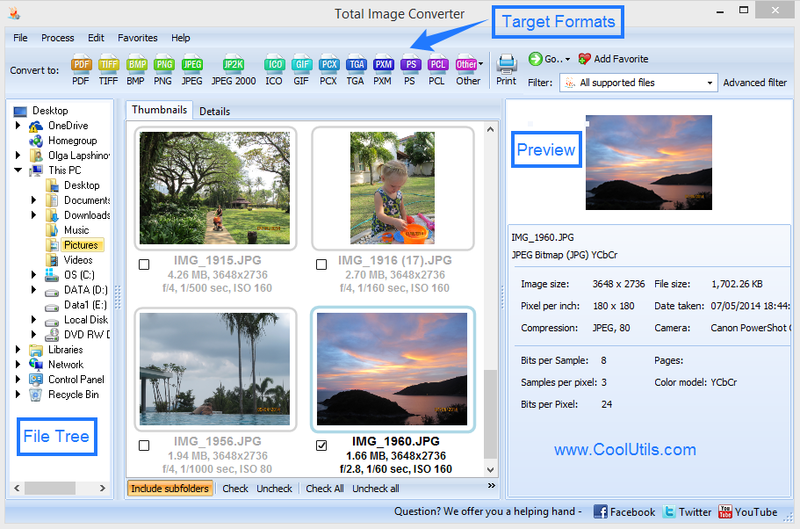 Also, this image converter integrates into the operating system and adds 'Convert to' option to the right-button menu. In other words, you can simply right-click on a PCX file and click 'Convert to'. How Should I Handle this Image Converter? You do not need a lesson to get the message. Just run it and try the whole thing on your own. The interface is laid out in such a way that you know what to do next before you finish the current action. The only thing you should keep in mind is the formats, from and to which you are converting. Now we are to make PCX into TIFF. In the file tree, we should select the folder with PCX images, so we’d better know where it is located. Then we click that folder. What we see next is a bunch of PCX files, which can be displayed I two different ways. This is optional. 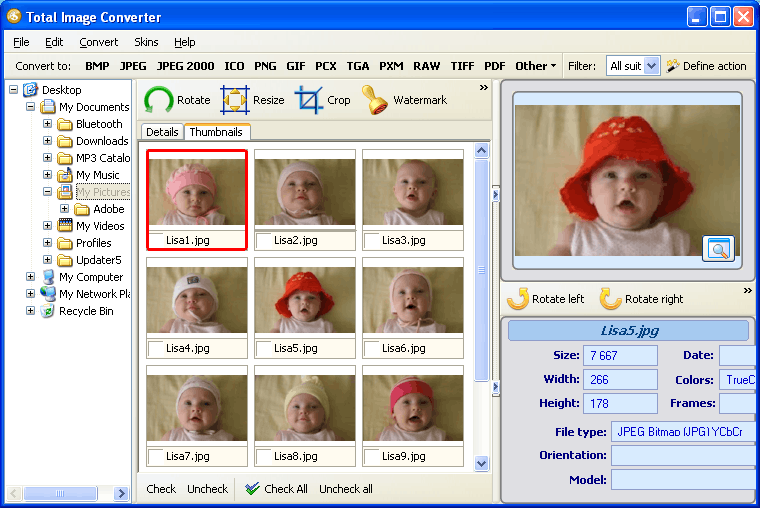 The image viewer can help you adjust output quality and watermark options. These parameters are shown under the viewer’s window. Once we click select the target format in the toolbar or Format menu, the wizard’s window pops up. It’s high time to specify destination folder plus the editing options that we have already mentioned. When we are through with that, we click 'Start' and wait until the conversion is completed. As we can see, the whole thing is simple as rolling off a log. 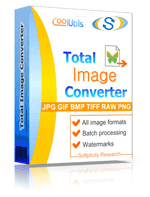 Buy Total Image Converter and get your job done in seconds. Try the 30-day demo version and make your own opinion about the program.